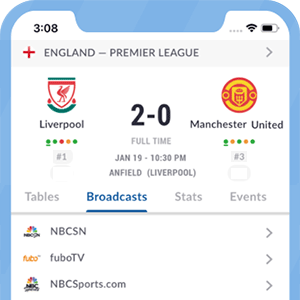 BT Sport offers its subscribers live streaming services that allow them to watch BT Sport 1, BT Sport 2, BT Sport Europe and BT Sport/ESPN live and on the go on their smartphones and tablets. *Got itLive Soccer TV does not provide BT Sport Live live streaming. The information provided on this page is simply BT Sport Live soccer TV schedule.